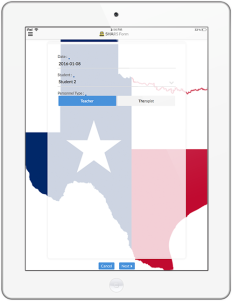 A special education teacher at Keller School District in Dallas Texas, Chris Service has always dreamed of building a mobile app for his classroom data collection needs. Special education students have individualized goals and objectives that are tracked through the use of Individual Education Plans (IEPs). Throughout the year, special education teachers monitor progress on these goals and objectives and report the progress to parents and the IEP team. The data is comprehensive, dense, and imperative toward helping students meet their educational goals. As one might imagine, it's difficult to interact with the information in any meaningful way merely on paper. 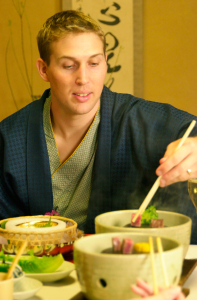 Before he found AppSheet, paper was the only tool Chris had. He'd collect student data by hand and analyze it with a calculator. Later on, he began experimenting with Excel for this process, manually inputting collected data into spreadsheets. Excel helped him automate some of his calculations; but it still required manual data collection and later transcription. Chris found AppSheet during a professional development course on Google Apps. He began experimenting and soon realized he might actually be able to realize his dream of creating mobile apps for classroom data collection and analysis. With his apps, he's able to accomplish much more than before. "This has been an invaluable asset to my classroom as it helps save time during the whole process of collecting data and then communicating data during progress reporting and annual IEP meetings," he says. "This streamlined process involves the ability of myself and my classroom paraprofessionals to input data using our cell phones/tablets while having all the calculations done simultaneously in real time. This has saved us a lot of valuable time that can be directed back towards our students."